The first trick shot I learned as a lad was a sink-in. 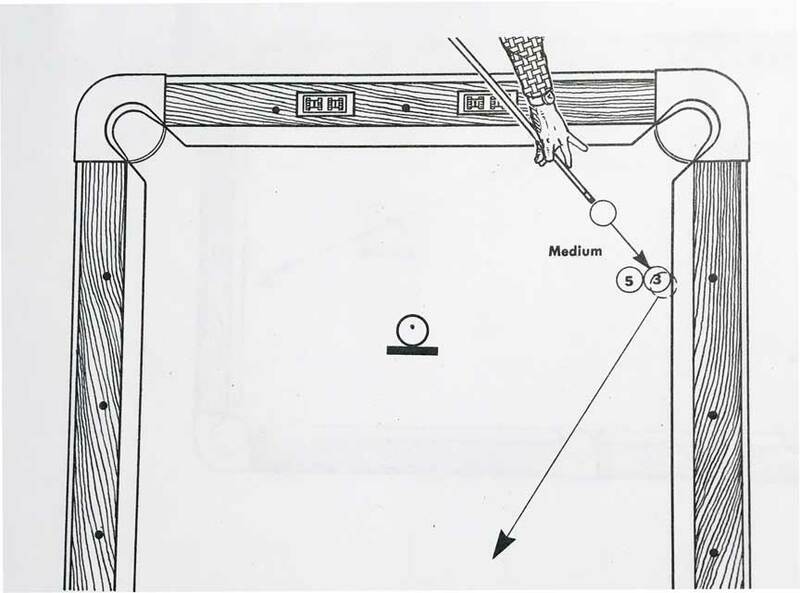 Place the balls as shown and announce that you will make the 3-ball in the diagonally opposite corner pocket without touching or moving the 5-ball. Point out that the 3-ball, one would think, can only go along the rail if the 5-ball is to remain in place. The deed is done by hitting the 3-ball full in the face with enough force to compress the rubber. As you can see from the location of the dashed ball, the cueball easily clears the 5-ball. That part is easy; skill is needed to actually pocket the ball in the corner, but it becomes easier the more often you try it. Coming close is no problem at all.